If you are looking to help someone stock their kitchen, trying to find a foodie inspired gift or need an update in your kitchen, here are my most used items in my house. Food Chopper- you can buy different variation of these but this one is my favorite and one the kids enjoy helping with. Blender or food processor- I use both of these for various kitchen tasks like blending together ingredients, chopping large amounts of ingredients, etc. Kitchen Knives Set- a good set of knives is important when you cook! Flexible Cutting Boards- these type of cutting boards are my favorite because they are easy to clean and easy to store. Rimmed Baking Sheet- I use these for baking as well as roasting vegetables and meat. Silpat baking sheet- Put these on top of your baking sheets and clean up will be much easier and your food will cook beautifully. Cooling Rack- Love these for cookies and baked goods of course, but also great for adding a glaze to cakes and fit into a baking sheet to catch the excess. Kitchen Scissors- these work for cutting up vegetables, dried herbs, cooked meats and when my kids were smaller I used them often for cutting spaghetti noodles. Kitchen Tongs- a very versatile utensils you'll be using a lot for tossing salads, turning meats and more. Glass Measuring Cups-You'll use this often for melt or cooking things in the microwave as well as measuring liquids. Cheese Grater- ironically I use this more often for grating onions and not cheese. Hand Mixer- Easy storage and great for quick jobs. 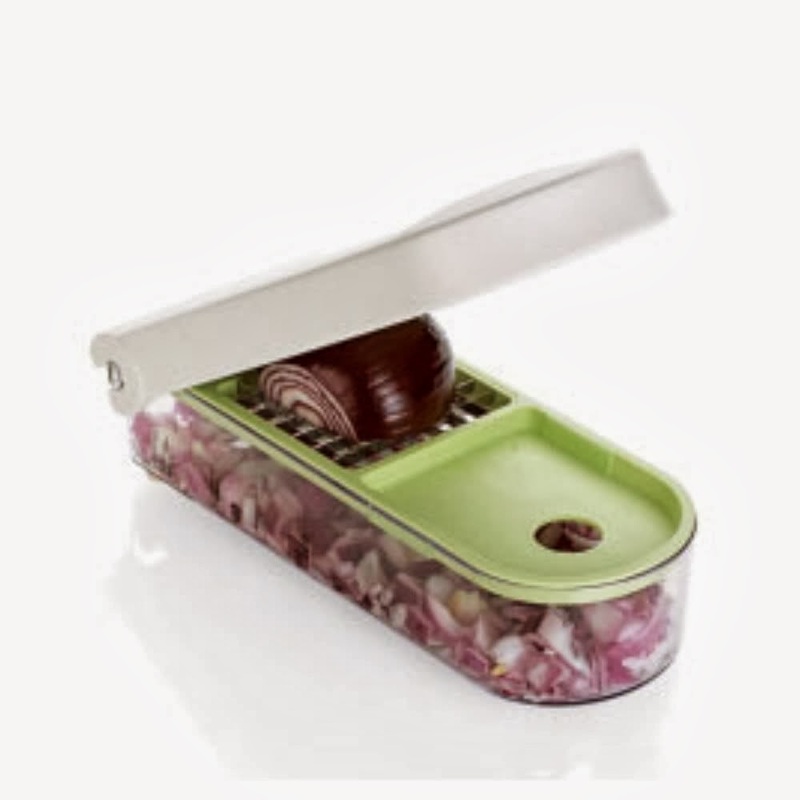 Garlic Press- If you like garlic in what you are cooking, this is a must in your kitchen too! Silicone Rubber Spatulas- love these! Buy several in different sizes so you can use them for small and large jobs. 13x9 Baking Dish- A dish you'll use for baking as well as cooking dinner. These are available in glass as well I just prefer the nonstick type and love having a lid included to carry to potlucks or store in the fridge. These items are standard items for the kitchen when you bake and cook often. These suggestions aren't necessary for stocking the kitchen but they sure make cooking easier! 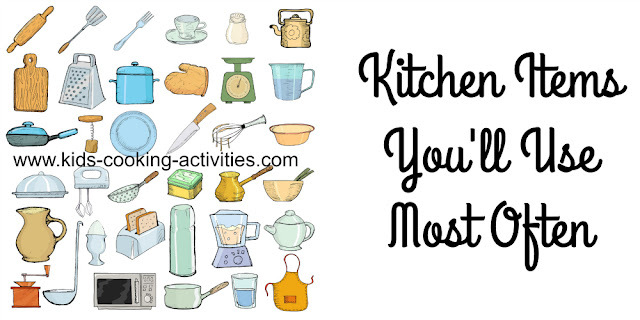 What are your favorite kitchen items you use often at your house?